Joe Bluhm is sitting in his Louisiana home illustrating yet another book, but he can’t help but feel slightly disconnected from the work. This is nothing new for Bluhm. 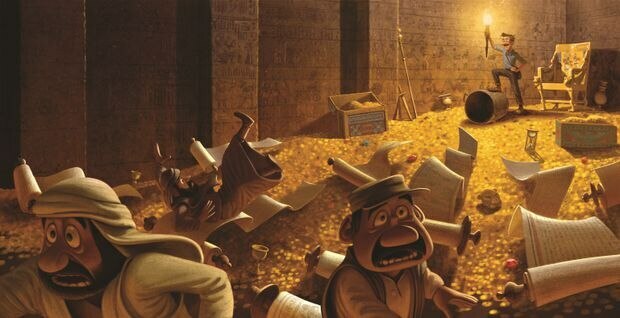 He has previously worked on the Academy Award-winning film The Fantastic Flying Books of Mr. Morris Lessmore, but still, when illustrating a book, he’ll rarely if ever communicates with the author whose work he is trying to bring to life. “That’s one thing I think is so important, and is sometimes lost when an illustrator is illustrating the work: They’re not as empathetic to the theme or the topic of the story,” said Bluhm. 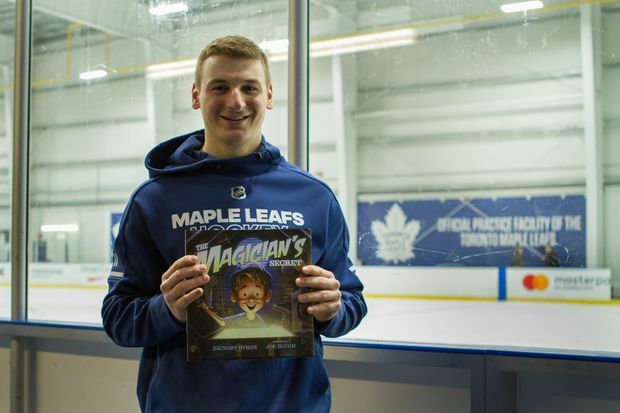 So when Bluhm was first approached by then-Toronto Maple Leafs prospect Zach Hyman about collaborating on Hyman’s third children’s book, Bluhm was curious. Over dinner in Toronto, Hyman shared a few ideas. He wanted to branch out from writing sports-themed books such as his previous two titles, 2014’s The Bambino and Me and 2015’s Hockey Hero. It was only when Hyman, 25, shared his idea for what would become The Magician’s Secret that Bluhm was hooked. Hyman told Bluhm how, in his childhood home in Toronto, Hyman would sit and listen to his grandfather endlessly telling tales: One day, he was a baseball star, the next an NFL star. He was neither, of course, but the ambitious themes in his stories inspired his grandson. Hyman would share these tales with his friends, who would always shoot him down. Not a chance, they’d say. But Hyman remained convinced. His grandfather was the man who introduced the very idea of believing in your imagination. And sure enough, the wide-eyed grandson now a Maple Leafs winger. Bluhm can empathize. As a young illustrator, Bluhm would listen to his own grandfather tell stories for hours about building houses during the war. The older that Bluhm got, the more time he would spend picking his grandfather’s brain about his life. Eventually, he saw beyond the white-haired and mustachioed man who he only spoke to during holidays as a child. “Instead I started seeing an equal, a friend who was just into sharing stories of his life,” said Bluhm. And it was that relationship between a young boy and his grandfather that The Magician’s Secret tried to explore. Hyman’s book represented an opportunity for Bluhm to bring memories of his own grandfather to life. Bluhm felt convinced by how the theme of the book pushed the author through his whole life: Hyman was a highly touted 19-year-old who scored 102 points in his final junior season, but then fell back to Earth in college, during which he notched just nine points in each of his first two seasons at the University of Michigan. “Hockey and sports desensitizes you to rejection,” Hyman said. Hyman began writing as a teen, when he completed an early version of Hockey Hero as part of a writing contest at his high school, Toronto’s Robbins Hebrew Academy. After submitting the project, Hyman’s English teacher called his father, Stuart, in tears, completely moved by the passion and message within Hyman’s story. Drafted by Florida, Hyman was traded to the Leafs organization in 2015. He is a tenacious forward who plays alongside Auston Matthews and William Nylander, two of the most talented players on the Leafs’ roster. Hyman has had to rely on his work ethic to earn his prominent spot in the lineup. 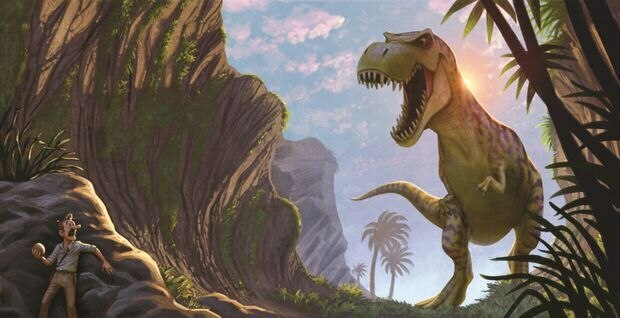 That ethic influences his work as a children’s book author as well. The Magician’s Secret is his third in a four-book deal with Tundra Books. Hyman is brainstorming ideas for his fourth book but is planning on a return to a sports book. What will remain the same is the message he tries to impart in every book – that of young children trying to find their way and believe in themselves. In Hyman, Bluhm sees an athlete who doesn’t have to conform to standards and a writer who isn’t afraid to branch out. Bluhm can relate: When he was in high school, he found himself splitting his time between football and art classes. While his art instructors were accommodating, his football coach was not. “We can’t all just do whatever we want,” Bluhm remembers being told by the coach. And Hyman couldn’t agree more.